Well, looks like there may be a little life left in Lularoe. They are coming out very soon with the LuLaRoe Color Collection: NOIR. It's an all black capsule of their classic pieces. People love black and I can see a big up tick in sales because of this. Comments on a LaLaRoe buying group about this include: Eeeeeekkkkssss!!! !, Yep, now I'm in trouble, I need this, Yes!! !, I will knock down doors of local girls who get these Julia's in my size, Well it's about damn time; I would cut someone for a black Sarah, Gah! Neeeeed These!!!. I still have zero interest in buying any of it. I was scoping out a local (NJ) Women's Expo for my business last month. It is basically an expo for women to shop. There were a couple hundred booths set up with things such as jewelry, skincare, oils, tarot readers, hair care, some clothes, and various things like that. There were not 1, not 2, but 3 LaLaRue booths!! And one of them was a giant booth that took up two spaces. Each space is $750 to rent for 2 days. Crazy! ...and there were customers in their booths. There was also a huge section for a clothing brand where everyone was just standing around waiting for customers (so they could pounce!). But no one was going over there - it was too intimidating. I think the brand was Matilda Jane??? Matilda Jane = ridiculously over-priced, overly-frilled, pretentious children's clothing. My facebook is blowing up over the black LLR. I wonder if it will all be sold grab bag style so consultants can get rid of their ugly crap. "rub three times in a circular clockwise pattern [in your palm] to activate the electrical properties of the oil that aligns you DNA" (paraphrased). If the oil is in my left palm, and I rub with my right palm in a clockwise pattern, isn't my left hand essentially rubbing counterclockwise? Won't that counteract the electrical properties of the oil and confuse my DNA? One of these essential oils salespeople went on a FB group I was in, when a mom posted that her child had pinkeye. She actually told her it would be okay to put EOs in the child's eye, that certain oils would "cure" eye infections. Is that scary or what? I'd never risk putting something in my child's eye without a MEDICAL DOCTOR'S approval. It was a frugal facebook group that I'm a member of and these women were trying to save money on doctor bills. Although I am frugal when it comes to many things, I don't take chances with my child's health. There were not 1, not 2, but 3 LaLaRue booths!! And one of them was a giant booth that took up two spaces. Each space is $750 to rent for 2 days. Crazy! ...and there were customers in their booths. Were they at least selling different things? This seems to be the main problem with the MLM business model in a nutshell - distributors so local they're leaching from each other. The way LLR is set up, the distributor only has choice on size and style, no control over print, they just get what they are sent. So, it's likely that the prints were different, but the actual clothes were the same. It's how the company has developed a "rush" on certain patterns, etc. They claim to make only 1k or 5k items of each print. They aren't selling anything but same in the breastfeeding community. Anything wrong with the kid? Throw breastmilk on it. Pink eye, diaper rash, baby acne, cuts and bruises. Never throw out expired milk. Put it in the bath instead. I've seen the same, claiming that breastmilk can cure "anything" (not true). You have to wonder how many people at the tops of these things genuinely believe the crap they're selling versus know they can manipulate people into making them rich. Accidentally killing your own infant daughter because you thought you knew how to birth a baby better than a doctor is pretty serious dedication. What did I even just read?? I mean I know that the sellers believe that essential oils are chemical free, but do they know this guy is a certifiable, criminal, nut case?! Has anyone seen the latest MLM, Xyngular? I have friends who have recently started this weight loss MLM and are now hawking it everywhere. One girl, who has been quite overweight for some time, posted on Facebook that she lost 7 POUNDS in the first TWO days. I have to assume this stuff is just some horrific combination of diuretics and laxatives. I feel like I need to come clean here- yesterday a FB friend who sells LuLaRoe posted a really cute OOTD. If she would have sold me just the skirt without shipping costs, I would have bought it. LLR - I'm watching this from afar b/c DW has no interest in them our girly relatives don't live in our town. Question: there aren't any other brands that offer the same kind of clothing for similar or lower prices? Essential oils: I don't want to apply anything to my body that will fool around with my DNA (I know it really doesn't). Why doesn't that sound risky to the people who believe in the sales spiel? Why doesn't that sound like something that could be risky? That's why some of them split off and formed doTerra. DNA has become yet another marketing term. It's either used to invoke the devil (GMOs put DNA in your food!) or described as a superficially relevant organ such as this "oils" business. I'm sure there's an MLM that asks you to eat their food because it "cleanses" your DNA (as if the building blocks of your body were the same as fish tank water). Right??? Messing with your DNA is how you get cancer! There was some anti-GMO campaign a while back (which honestly may have been satirical, I'm not sure) lobbying to label all foods with DNA in them. Friends and I had a good laugh trying to figure out what foods don't have DNA in them. Salt and water is all I've got - assuming both are free of microorganisms, of course. Perhaps blood, if you were to filter out the immune cells (mammalian red blood cells don't have nuceli or mitochondria). So I guess vampires are safe. Hey, but when I was nursing kid #2, one of my neighbors' kids had an eye infection. She gave me half a dozen eggs from her chickens in exchange for some extra milk. I won that trade! Someone posted on facebook today, looking for a "Younique dealer" (a make-up MLM). I live in a fairly small town (about 14k people). Curious, I looked on city-data and found that about 6k of those people are female. Let's say 2/3 of those women are at an age where they wear makeup. That leaves a max customer base of 4k people to sell to (many of the women in this town don't wear makeup though, and if they do, they use a much cheaper brand you can find at the store...but, we'll go with 4k anyway). Response to that one request? 27 "bossbabes". 27. Our town doesn't even have a Walmart, but we have 27 people (at least) trying to hawk an expensive makeup. I know people want to have a "downline", so they can make money off them, but at some point there are just too many people selling the same thing. I haven't paid much attention to how many MLM sellers there are for each company, but I think I may start to pay attention. I know that there were a lot of Visalus (or whatever the shake company was called) sellers for a while, but I think most gave up. Anyway, I'm still a part of several groups on Facebook which I joined while I was looking for prints I liked when I was shopping for my pairs. Some sellers actually offer a service where they will put a "Congratulations! You won this!" note in the packages, so that women can hide from their husbands the fact that they've spent more money on LLR purchases. 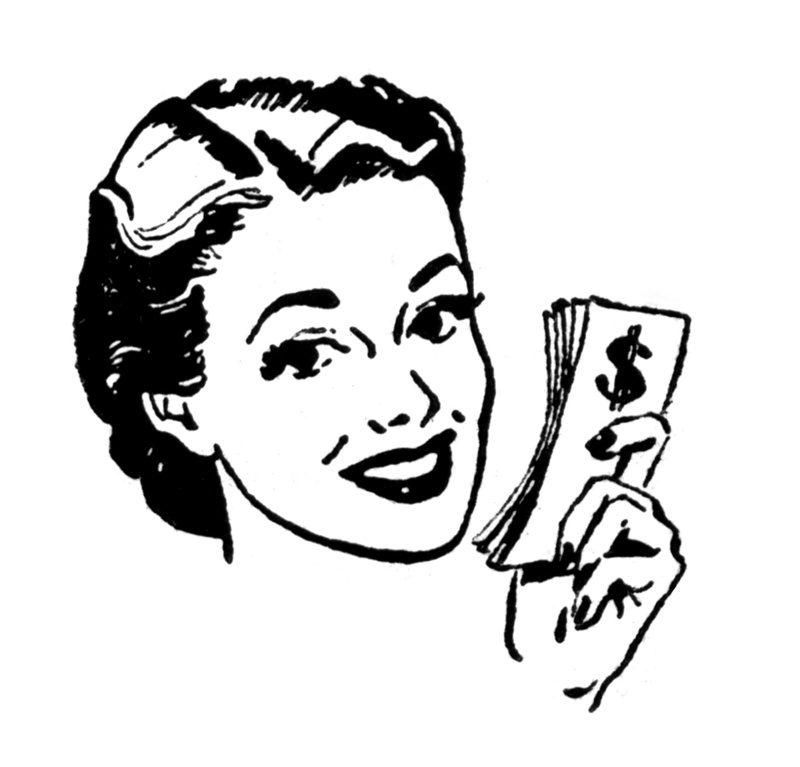 I've noticed in all my hobbies (sewing, quilting, knitting, vinyl transfer, nail polish) there is a huge amount of talk of getting purchases hidden from husbands. It's kind of sickening. Wow. I can't imagine lying to my husband about money. If he did, I'd wonder what else he was lying to me about. Check out the LLR map. No idea if this is actual # of consultants or if these are the consultants who wanted to be listed, but that's a ton of market saturation! YES! That was something that happened at a jewelry party I went to years ago. At the end of the presentation she talked about being able to hide purchases on the credit card so that husbands wouldn't see. HORRIFYING! It was treated as a joke and everybody laughed. I couldn't believe it, because the women were all heavy hitters at my church and hiding purchases from your husband just seemed so antithetical from anything I've ever heard about marriage at church. When I was in a triathlon club, one of the male triathletes had a training bike, a fabulously expensive aero road bike and a fabulously expensive triathlon bike. They were all all matt-black Specialized bikes with red graphics and bar tape, because that way he could keep one at the office and not have his wife realise he'd spent four thousand euro on a Venge frameset. I attended a local Women's Conference recently. A 10 x 10 corner booth was $875, plus the cost of carpeting, walls, electrical and internet access. They had an entire section of the trade floor devoted to "women owned businesses". There was a handful of vendors who actually made their own items. Everything else covered the gamut of the biggest MLM's right now, to the guy on the corner who sells "closeout" 1200 TC sheet sets for $20. Sadly, most of the women in the trade floor were there to shop. Only a few of us saw the irony of allowing these MLM's, who exploit women, to be at a women's conference. I received a survey after the event, and I made my feelings known about the subject. I doubt it will change anything. Doesn't it only take like 14 cycles before you have recruited everyone on Earth or so? Typical in Mary Kay also. They say "it's easier to beg forgiveness, than to ask for permission". Meaning you should use the credit card to buy 5K of inventory, then beg for forgiveness if the husband finds out. I'm sure hiding financial issues from one's spouse is a great formula for a successful marriage. Yes, 14 levels of recruits with each distributor recruiting 3 distributors under them comes to about 7.2 billion people. It might take 22 cycles if every distributor only recruits 2 people as direct downlines, or only 11 cycles if each level recurits 4. Gotta build the business, sales don't really matter. It's not all the consultants. I know a few people who are and they are not on the map. So, the market is even more saturated that the map shows. Just recently had a good friend's spouse start up with Monat that recently starting posting more and more desperately. (such as #friendshelpfriends along with a plea for purchases). I'd usually just ignore this, but this is such a close friend that it will come up and make for some rather awkward conversations. Is anyone good at sleuthing out specific income disclosure statements from these companies. I was under the impression that they had to release these under law (in Canada) but can't seem to find one for Monat. I believe the best argument is similar to the other statements I've read that all lead to "nobody makes any money at these"
Don't remember where I read it, but there was a lot of controversy in the publication of this map. Some people were former consultants, some were current, etc, but they were just put on the map without their knowledge. One woman found out about the map when she got a knock at some ungodly hour, from a woman she didn't know, demanding a refund for damaged leggings that she got from another seller! A Christian girl who was friends with my husband's family got married young. As soon as the wedding was over, she started buying baby things - not a onesie here or there, but the big ticket items. She bought a pram, cot, a baby bath, car seat, etc, and had them all delivered to her workplace so the husband wouldn't know. She also recently 'confessed' on Facebook to having 67 pairs of shoes for her six month-old-daughter. She bought a pram, cot, a baby bath, car seat, etc, and had them all delivered to her workplace so the husband wouldn't know. Did she keep them in her office? How do you sneak those bulky things into a house? And in general, in those "compensation plan" disclosures, this is the amount received *before* substracting expenses. The typical seller actually loses money in these schemes, if they properly take expenses into account. Tis the season! So far I have been invited to a Pampered Chef Party at a friend's house and for an online Young Living EO party. I also saw some flyers for local craft fairs and they listed the types of vendors. At first I was excited about the craft fairs because I crochet and knit and am considering doing a craft fair next year, then I saw that out of 50 vendors so far signed up about 30 of them were MLM companies! How are those even in the same category as crafts? Want wants to work that hard for $1500 a year? Who wants to strain their social relations that hard for $1500? Most regular folks could probably find multiples of that in savings if they applied MMM tactics to their family spending. Probably had an office baby shower and brought home the bulk of the purchases along with the gifts from the shower.